Company : LOH ARCHITECTS & Associates Inc.
We are currently designing 6 million square feet of new projects, with an additional 3 million square feet of projects already under construction. The construction value totals $500 million. 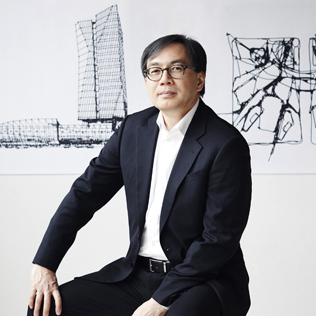 Joseph Loh, the principal responsible for design and research, has 27 years of experience with increasing emphasis on incorporating sustainable technologies into the design of his buildings. Prior to founding the company, Joseph garnered awards for signature buildings on the international skyline including Bank of Indonesia Headquarters (tallest tower in Indonesia), Sun Life Financial Headquarters in the Philippines, and Ottawa’s World Exchange Tower II while leading design teams at renowned-Canadian architectural firms. A versatile design firm, we are equally comfortable with hand rendered drawings, advanced 3D computerized models, and computer simulation, to communicate concepts and bring an interactive approach to collaboration with clients. Established in 2005, we led multi-disciplinary teams implementing eco-architecture in Canada for the International School and Confucius Centre at Brock University (LEED design), and for the Ontario Science Centre’s pioneering zero-energy addition feasibility study in 2011. In 2012, we were commissioned to design the Shanxi Datong Culture and Arts Centre, a multiple-use cultural-commercial center in the City of Datong in northern China. The project features a winter garden as a means to refresh indoor air, and is part of a research thesis for sustainable innovation. We offer a personalized, highly responsive approach to design, design-development, working drawings and contract administrative services. We back our innovative ideas with solid research to help our international roster of clients realize their business goals.